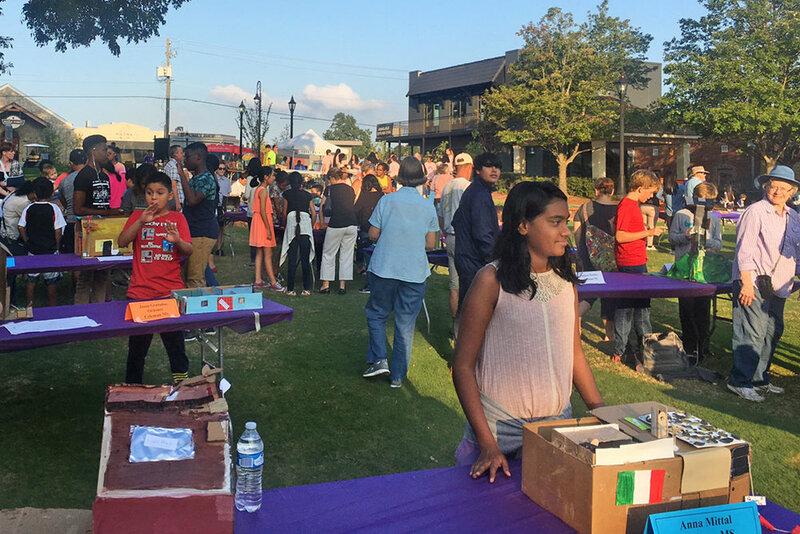 On Oct. 13, students from the seven cluster schools— Duluth HS, Coleman MS, Duluth MS, Berkeley Lake ES, Chattahoochee ES, Chesney ES, and Harris ES— showcased their Project-Based Learning (PBL) projects on the Duluth Town Green for the evening event. The grade-specific projects gave the students an opportunity to show their learning to reflect the first nine weeks of the district’s Academic Knowledge and Skills (AKS) curriculum. Projects showed mastery of science and mathematics concepts with humanities and arts woven into each display. Modes of transportation created to use air, water, rail, or road to move goods from one location to another. Arts and crafts, 3-D printing, and an Art Walk featuring the works of local artists.